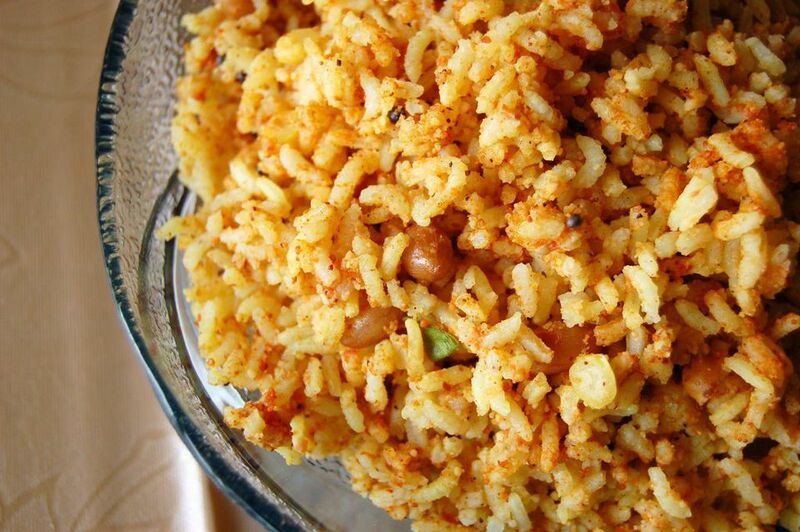 Whether you are looking for a flavorful Indian dish or for an easy way to use up some leftovers in the fridge, tangy tomato rice is the perfect dish for brunch, lunch, or dinner. Slightly spicy, this thirty-minute recipe only takes ten minutes to prepare and yields 4 to 6 servings for your family and friends! With a flexible kitchen set-up and less than an hour to cook entirely, this tomato and rice recipe can be made several ways, such as by pan frying or cooking in a pressure cooker. Of South Indian origin, tangy tomato rice is a famous recipe that makes a great one-dish meal that you can serve with poppadoms. A poppadom is a thin and crisp disc-shaped chip from India. Typically an appetizer, poppadoms are made from a seasoned dough such as peeled black gram flour, fried or cooked with dry heat and served with chutney. If you are having trouble locating or cooking poppadoms, or simply have another preference for a side dish, you can serve this tomato rice recipe with an Indian bread such as naan or paratha. If you decide you are going to use basmati rice for your dish, one tip is to be sure to drain the water completely after soaking for 15 to 20 minutes and then proceed to sauté the rice in a teaspoon of ghee for no more than five minutes before cooking. A teaspoon or two of lemon juice will also prevent basmati rice from getting mushy or sticky. Adding coriander leaves and a curry powder is essential to having this dish get the tangy and spicy flavor you are searching for, as the herbs give the basmati rice a kick, so be sure to include powder and coriander leaves. Heat the oil in a deep pan and add the mustard seeds and green chilies until they stop spluttering. Add the onion and fry until soft. Add the tomato and ginger and mix well. Cook until the tomatoes turn pulpy. Add the coriander, cumin, and garam masala powders. Salt to taste and mix well. Cook on a low flame for 3 to 4 minutes, stirring frequently. Turn off the fire and add the rice. Mix well.